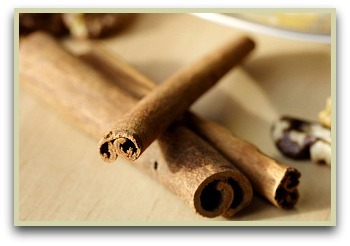 Cinnamon and Weight Loss | The Tastiest Way of Losing Those Pounds! Cinnamon and weight loss, really? Apparently so! Losing weight is an on-going struggle, but you may be surprised to know that you already have a helpful tool in your kitchen, hiding in your spice cabinet. It can actually help you lose those pounds by working on your body in a helpful and healthy fashion. For thousands of years, civilizations around the world have used it for its varied health benefits. Among those therapeutic qualities are a number of ways that it helps you shed the pounds. Cinnamon and weight loss works in several ways and it starts from the moment it enters your body. When you eat or drink anything spiced with it, your body experiences a chemical reaction in order to digest it. This reaction speeds up your metabolism which means you start to burn calories faster. Next, the chemicals help to regulate your blood sugars, increasing the insulin levels in your blood and helping to metabolise your body’s glucose levels. Studies have shown that when your blood sugar spikes and falls throughout the day from the food that you are eating, it can trigger your body to store up fat. Keeping your blood sugar constant is a key tool for losing weight, and this spice can help you do that. Recent studies have shown that abdominal fat is more sensitive to cinnamon and its properties than other kinds of body fat. The sweet flavour also satisfies your taste buds, so you’ll find yourself craving sweet treats less often. Read more on the general health uses. Note: The two most popular types used around the world are cassia and Ceylon, and, of the two, it's thought that Ceylon is the more beneficial health wise. But it Doesn't Mean You Can Eat Tubs Of Ice Cream! Of course, cinnamon and weight loss do not add up to enjoying a full breakfast of steamy cinnamon rolls or large slices of apple pie and ice cream. You still have to combine your use of it with a sensible plan for eating properly and exercising regularly. ...simply mix half a teaspoon of the ground powder with a teaspoon of honey and dissolve the mixture in a cup of boiling water and drink. These drinks will give you the all the benefits of cinnamon that you need. Or, you can also sprinkle a dash on some yoghurt or on some sliced fruit for a sweet afternoon treat, or add some to your coffee or tea. My favourite way of using it is to add a teaspoon to my soy milk, banana, blueberry and grapefruit smoothie. Its oils also have a range of uses that may aid with the never-ending struggle with losing those pounds. Read more on the essential oil. The key is to find a way to add a little into your diet every day, and you’ll find the remarkable power of cinnamon and weight loss working for you.